Posted by steroid for you in Anabolic Steroids on Nov 14, 2012 . 0 Comments. Hello friends, i want to give you detailed information about Trenbolone Enanthate in this article.Trenbolone Enanthate is the highest anabolic effected medicine that is known. It's long estered, so it's suitable to inject one time in each 7 days and during 12 weeks in a cycle. Trenbolone Enanthate won't be efficient for a cycle lesser than 12 weeks. Which medicines can combinate with Trenbolone Enanthate ? As i mentioned before, Trenbolone Enanthate is a long estered anabolic steroid. Firstly, it's absolute that adding a long estered depot testosterone. My personal advice is Testosterone Enanthate or Testosterone Cypionate. This two long estered testosterone medicines will work in cycle amazingly. And also, they will prevent your libido from the high press which is caused by Trenbolone Enanthate. If you want to make the cycle crazier, y more productive, you can add Dianabol for 3 tablets daily during 6 weeks. As the training life of user, we can add more products, like Primobolan, Oxandrolone etc. I have to add this. Absolutely, you have to drink 2 lt of water daily to prevent from the toxiticy. Tune, i advice 3 lt. You have to use a liver protector, maybe Milk Thistle. You have to use liver protector before starting the cycle and continue to use it after finishing it. And also, you have yo use Vitamin B Complex and one of an injection medicine regularly. If you make a Trenbolone Enanthate y Acetate cycle, nor kind of Nandrolone can be included that cycle. Tune, you can't use Nandrolone in the following year. You've to forget Nandrolone for two year if you make a Trenbolone cycle. This is why Nandrolone and Trenbolone are from same family. They will cause extra press to your libido if they are used together. Unfortunately, they can cause to vanish of your testosterone after an unconscious usage. Why don't I have to add Nandrolone to my cycle ? This is why they are familiar. It's imposible that gaining maximum muscle yield if this two medicine are used together or followingly. So, it's need to add a cycle which doesn't inclued Trenbolone or Nandrolone between two cycles. Or you can start to other cycle two or more years soon. Absolutely and absolutely you have to use Clomid (Clomiphene) during 3 weeks. And with Clomid, is need to take HCG Pregnyl separately as finishing in the week. And another important attention, Trenbolone can't be injected to body without Testosterone absolutely. 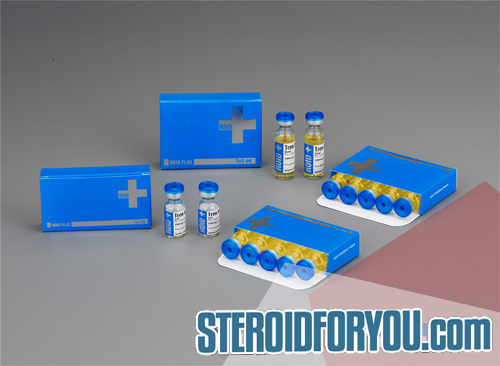 Which Trenbolone marks are trustworthy in market ? Firstly, if you can find, please take pharmacy products always. And also Gen - Shi Labs', Opiox Pharma's renbolones are so reliable. In 2012, a new underground labs called Roid Plus started to produce in Italy and we have taken positive feedbacks about it. 19th week, 5000 ui HCG-PREGNYL one time in each 2 days. During cycle, it's need to take Vitamin B and liver protector daily. And also, it's need to take Multivitamin and zinc medicine. It can bu use Clembuterol after the cycle to fat burns and anticatabolic effect. When we cut Testosteron from our body, there will appear syntethic Testosterones. So, it can cause catabolic effect, losing muscle and power. To solve this problem, it need to increase the testosterone level to naturel rate which is fallen by cycle. We can do that with using Tribulus, Maca and other these types of medicines. As supplement, starting a supplement cycle, which includes bcaa+creatine+glutamine, will help you not to feel the negative effects. In tune you can continue to grow even after finishing the cycle.